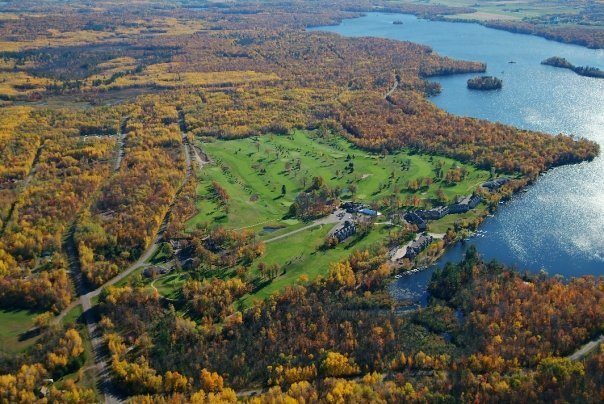 Just a short ferry ride across the lake or a few minutes drive from Stout’s Island boat landing, Tagalong’s golf course is a wonderful excursion for Stout’s Island Lodge guests. Built by Frank D. Stout for the private use of his family and guests, Tagalong is now open to the public. It’s said that Stout had the bentgrass for the greens cut in Scotland and shipped across the ocean, along with a world-famous architect and a member of the Scottish nobility. The course itself was intended to be a duplicate of St. Andrews. Fourteen miles of pipe were used to irrigate the greens and fairways. The course also features huge, elevated greens surrounded by deep, grass bunkers. At a gala to commemorate the opening of the course in 1925, Stout arranged to have an exhibition round featuring both the U.S. Open champion and the British Open champion. Turtleback is a premier golf and dining facility open to the public in nearby Rice Lake, WI, just a 25 minute drive from Stout’s Island Lodge. Turtleback is recognized as a top quality golf course.